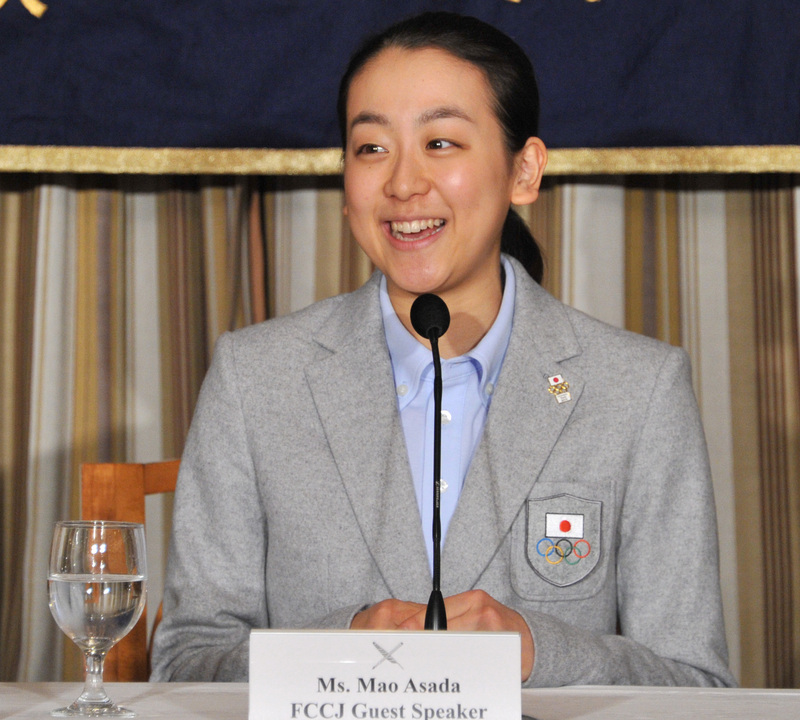 Figure skater Mao Asada chided Tokyo 2020 Olympic organizing committee chief Yoshiro Mori for criticizing her efforts at the Sochi Games upon her return from Russia on Tuesday. Mao finished 16th in the women’s individual short program last Wednesday after falling while trying to land her trademark triple axel, before recovering to record a personal best in the free skate a day later to finish the overall competition in sixth place. 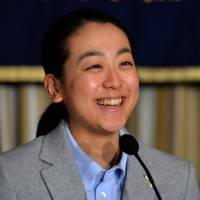 Former Prime Minister Mori on Thursday accused Mao of “always falling at the most critical time” of a competition, and the Vancouver Olympic silver medalist offered the 76-year-old a gentle rebuke after arriving back in Japan on Tuesday morning. “I heard what he had said after I had already skated, and my reaction was: ‘Oh, he said something like that about me?’ Mao told an audience at the Foreign Correspondents’ Club of Japan in Tokyo. “I understand that human beings do make mistakes and it’s undeniable that I did fall, so I have to accept it. Mao is the only woman to regularly attempt the difficult triple axel in competition, but it proved to be her undoing in Sochi with her low score in the short program effectively eliminating her from medal contention after the first night. Skating commentators have suggested that Mao would have had a better chance had she left the triple axel out of her routine, but the 23-year-old was unrepentant as she explained her decision on Tuesday. 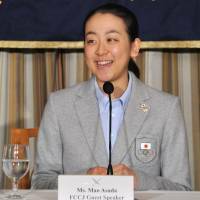 “The triple axel is something that empowers me,” she said. “Whenever I try to do it and it goes well, the sense of accomplishment is simply wonderful. This is something that I have always wanted to continue to do, to challenge myself and try the triple axel. Mao also refused to be drawn on her future beyond competing in the world championships in Saitama from March 24-30, blaming a misinterpretation of previous comments for speculation that she would retire after the Sochi Games. 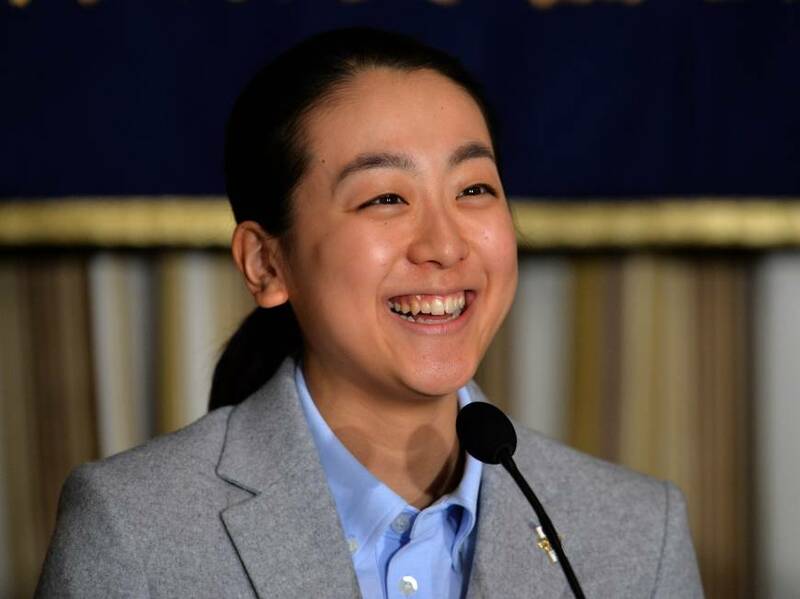 “Last year I made some comments where I used the word shuutaisei, which could be translated as a culmination of all my efforts, and the media picked up on that,” she said. “The fact that I was able to perform the free program without any regrets, I had this idea that I wanted to end in a wonderful, complete way, and after this performance I did have no regrets. Mao recovered from her disastrous short program to post the third-highest score in the free skate behind winner Adelina Sotnikova of Russia and silver medalist Yuna Kim of South Korea, bursting into tears at the end of her routine as the emotions of the previous day caught up with her. “At the time I was still in shock from what had happened the previous day, and my feelings were at the lowest of the low,” she said. “When I started skating I was full of anxiety and fear, but the fact that I was able to overcome that and give the best performance I have ever given filled me with such joy and relief that I burst into tears.